Congratulations, Ohio! 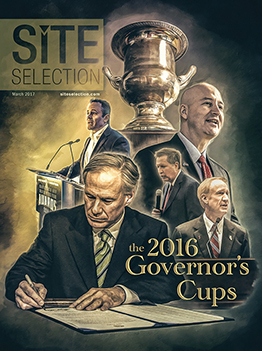 Our state was #2 again in the annual economic development competition among states put on by Site Selection magazine. For at least 25 years, Site Selection magazine's rankings have been the annual benchmark for economic development success and Ohio has, proudly, carried its weight in the competition. 2016 was no exception. Of 498 projects submitted by the state in 2016, 48% (240 total) where investments by the manufacturing sector. Manufacturing is Ohio's biggest GDP contributor. It's our state's legacy. Of those manufacturing projects, 95% of them came from outside of Ohio's most urban cities. Of all the 498 projects overall, two out of three happened in Ohio's less urban counties. Let's celebrate success! However, as Ohio government ponders how it delivers economic development and job creation programs, Ohio needs to embrace her suburban areas as a key to development in the future. It's important that outreach to manufacturing and suburban areas are key among the metrics of state-funded development programs. These numbers prove they should be. Let's face it. Ohio's suburbs don't tend to carry the political clout that the state's biggest places do. However, as Ohio's General Assembly considers it's next two-year budget, investment in Ohio's suburban and rural areas deserves attention that political clout might otherwise not dictate. Any policy debate that aims to cut off the 'burbs means cutting off Ohio's source of success. Let's have reasons to celebrate in the future too. This analysis comes from nine years of reviewing the data that has been used to rank Ohio. The trends are consistent. Let's start with what makes the list. The 2016 version of the Ohio Private Investment Survey was recently published to share the list of projects Ohio's Development Services Agency used to help tip the scales in Ohio's favor. Ohio submitted 498 projects fitting that criteria. Ohio's smaller communities brought the win, again. The list shows Cleveland, Columbus, and Cincinnati combined for 13 of the 240 manufacturing projects in the state. That means 95% came from outside of Ohio's three largest cities. Ohio's smaller counties brought two out of every three development projects to Ohio, again. Of the total 498 projects, 329 occurred outside of Ohio's three largest counties--Cuyahoga, Franklin, and Hamilton. That's 66% of the overall projects. Nine years of data show, consistently, that Ohio's success it owed to it's less urban counties.